OK, I'm excited. 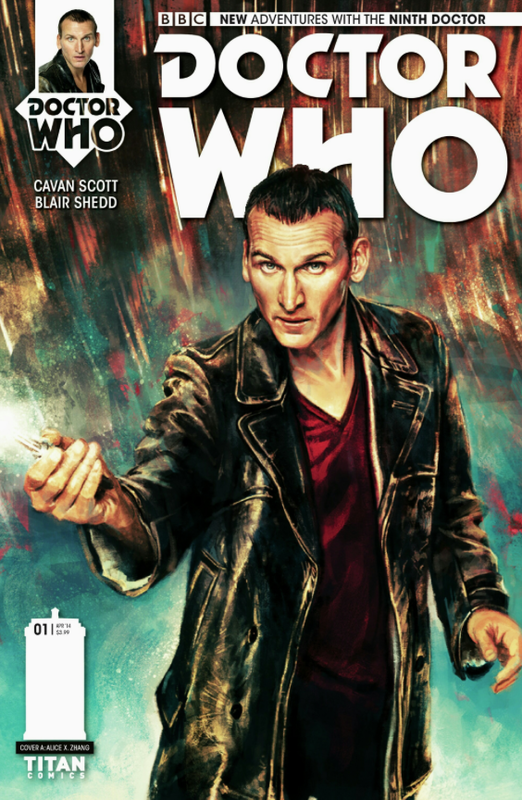 Just before Christmas, Titan Comics revealed the cover to issue one of my upcoming Doctor Who comic. It's launching in March to celebrate ten years since the series returned in 2005. Ten years? How is that even possible? A whole decade since my favourite fandom got a much-needed influx of new blood. Suddenly, Doctor Who was mainstream. Suddenly, Doctor Who was a hot property. Suddenly, Doctor Who was cool. And I got something very, very wrong. Not long after David Tennant stepped into the TARDIS, a new word appeared. All of a sudden, shiny new fans were announcing to all and sundry that they were Whovians and proud. And I railed against it. What kind of stupid word was that? Why do we even need a label? What's wrong with being a Doctor Who fan. That's what we've called ourselves for years, anyway. I was sneery and snobbish and generally stupid about it. What difference did it make to me what people called themselves? If they wanted to call themselves Whovians or Wholagans or Whoovers, what did it matter? They were having fun and enjoying something I loved. Although, to be fair, I don't think anyone called themselves Whoovers. It's something that I've seen recently in other fandoms. Today, being a geek is something that has a certain cachet, something people say with pride: "I'm such a geek!" And, just as I was a bit of a prat about Whovians, I've seen people get sniffy about geek chic. "You can't be a geek unless you've read this or that, or can quote such and such, or have seen every single episode of [insert obscure telefantasy series here]! Pah, I suppose you even call Science Fiction sci-fi!" Being a fan of something should be inclusive. There shouldn't be entrance exams or gatekeepers telling you whether you're worthy enough to be let in. This is especially true in genre fiction, comics and television. A fandom that celebrates the outsider should never make anyone feel like one. So, to all the proud Whovians, I apologise, and to everyone who's discovered superheroes, horror or the world's greatest consulting detective because of Robert Downey Jr, The Walking Dead or Sherlock, welcome. Come on in, we're a friendly bunch. Honest. And do you know what? 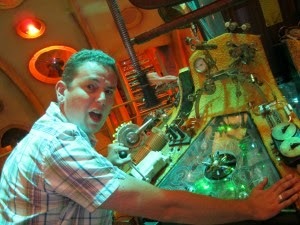 I'm a Whovian too! Cavan Scott is an author and comic book writer. He's written Doctor Who, Adventure Time, Skylanders, Judge Dredd, Angry Birds and Warhammer 40,000. He also writes Roger the Dodger, Bananaman, Minnie the Minx for The Beano, but has yet to buy a black and red striped sweater. A Doctor Who comic - respect! Congratulations! And the Whoovian thing...I'm not, but I know how you feel. It's like discovering other people who know and love the same book as you, which you thought only you knew and loved...there's a bond, but there's also a sense of "this is mine! Only I understand this book!" Great post! I do love the idea of Dr Who fans being Whoovers. Brilliant. Another comics fan and writer on ABBA. Great to meet you, Cavan. I look forward to the comic. I worked a little on a Dr Who comic when I was at Marvel UK and they published it, and later worked for Titan myself. Well, at least the term Whovian isn't sneering at fans. How do you think Star Trek fans like me feel being called Trekkies? 😉 No, really. Trekkie? There's a definite sneer in there. Worse than geek. I remember when Who fans were generally perceived to be spotty teenage boys who collected stuff and never appeared without their long Tom Baker scarves... I think there may even have been a wink towards this view in the DW story "Greatest Show In The Galaxy". At least you're past that image and, if you do have to share your love with others... Well, at least it's back, thank heavens! With a much bigger budget. I personally thank George Lucas for the return of my own favourite universe, because he showed that SF could make money. Still, I know what you mean. When I see kids for whom Star Trek is one of the spinoffs, I sigh - and know that they would laugh at the low budget show that won my heart. Congratulations on your comic! Hope it does well. Oh yes, comics have always been, and always will be, my first love. Without hijacking the comments too much, what are you reading at the moment? Is Trekkies sneering? I'm not sure. Do Trek fans use it themselves?